Please be informed that SME Recognition Award Presentation & Gala Dinner 2015 will be held on December 5, 2014 (Friday). 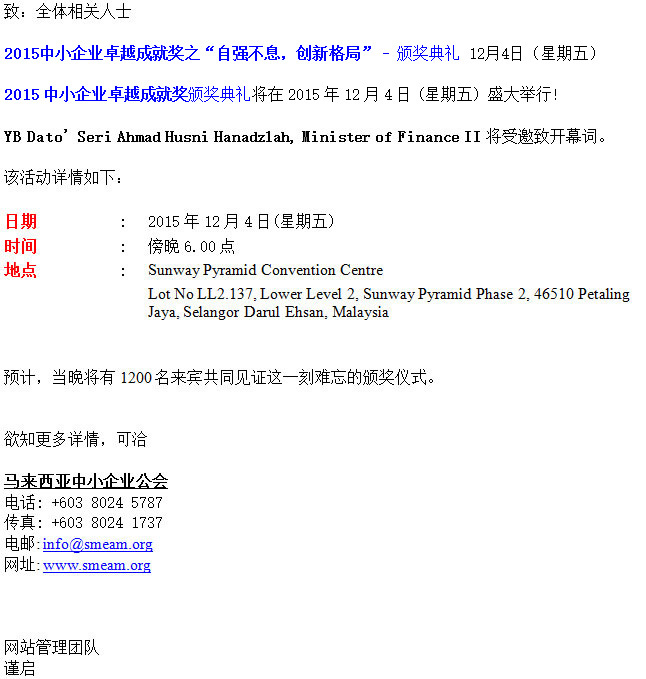 YB Dato' Seri Ahmad Husni Hanadzlah, Minister of Finance II will be officiating the event. We are anticipating 1200 of guest will witness this memorable ceremony.